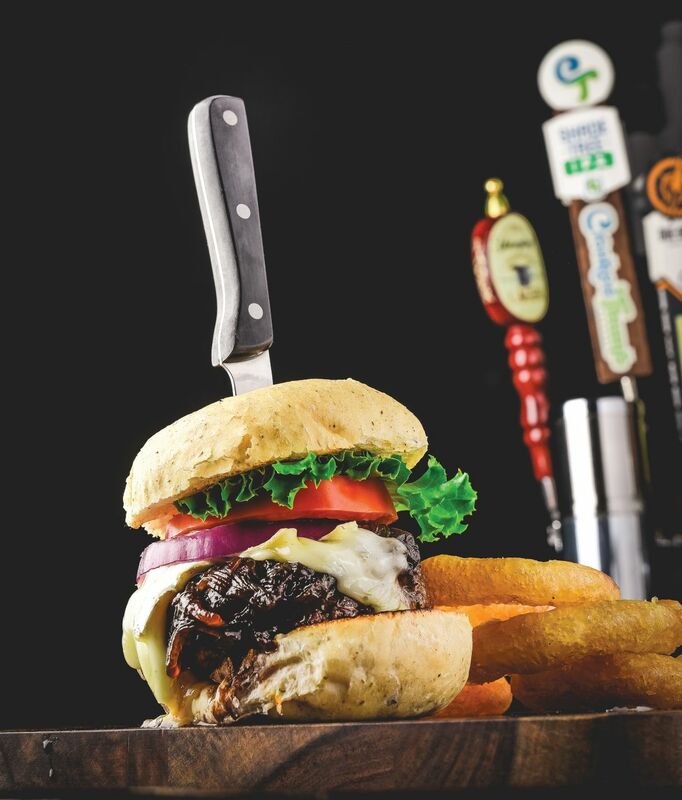 From brilliant mash-ups to simple classics, the best burgers in Sarasota-Manatee. Swensons cuts its ground beef with frozen butter, a common trick, and it also adds honey. Voilà! The result: a studly burger that nods to Phelps’ history in northeast Ohio as well as his ethical commitments. It’s high. It’s low. It’s tasty as hell. It’s Sarasota’s best burger. The Steakhouse Burger at Alpine Steakhouse. Bypass the traditional bacon cheeseburger in favor of one stacked with pork jowl at Alpine Steakhouse, which gilds the lily with a couple of onion rings. The thick strips of jowl, what the Italians call guanciale, deliver intense smokiness, and the rich beef is ground in-house and cooked to the exact temperature you request. This bad boy isn’t always listed on the menu, but the staff promises you can order it anytime. No one would accuse Made chef Mark Woodruff of holding back. His dishes are decadent and bold, with a pileup of ingredients that walks the line between just enough and way too much. 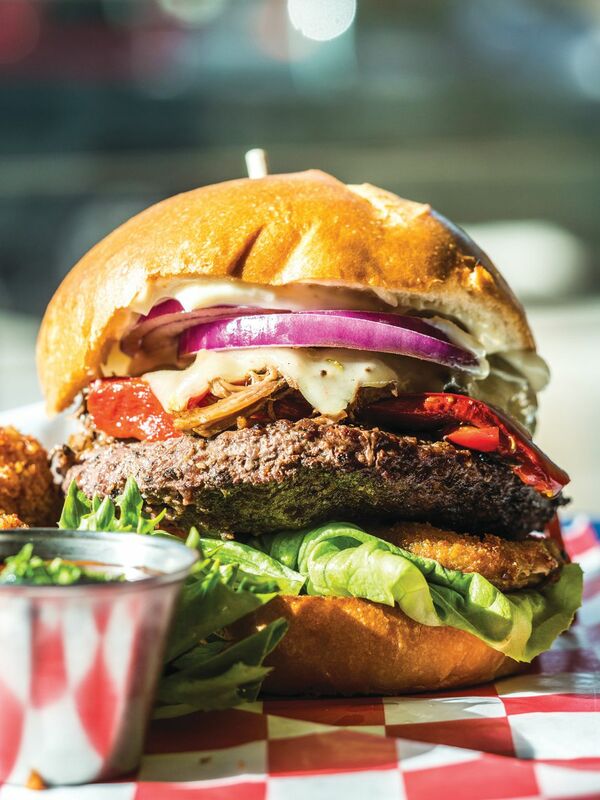 That goes for his signature burger, which includes (deep breath) high-end Niman Ranch beef, a tangle of barbacoa-style meat, sautéed red peppers and onions, a tart fried green tomato, cheese and lettuce, with a ramekin of the restaurant’s addictive homemade smoked ketchup on the side. You’ll never need to eat again. The caramelized onion and brie burger at Shakespeare's English Pub. A legend. 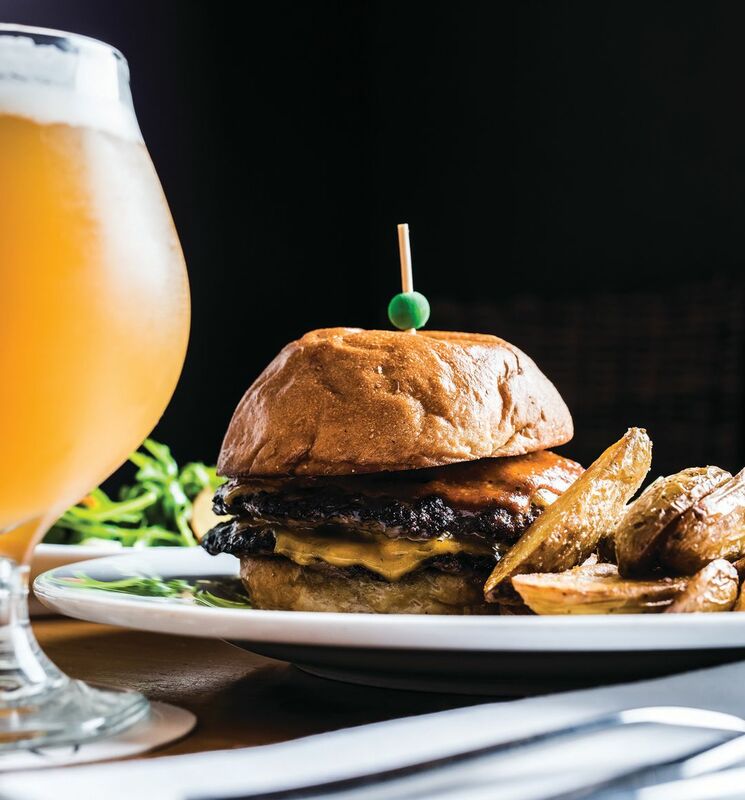 This burger has been helping locals soak up the beer selection at Shakespeare’s for more than a decade. A nest of slowly cooked-down onions flavored with balsamic vinegar rests atop the meat and below an X of brie slices, and the whole thing is slid into a rosemary-scented bun and accented with lettuce, tomato and onion. The patties here are thick, allowing the cooks to develop thick, black skins on the outside while keeping the interiors bloody. This beauty will never go out of style. State Street's fresh ground burger. Rather than serving straight-from-the-jar pickles and raw onions, State Street slices cucumbers and red onions into thin ribbons and pickles them in-house before throwing them on top of the meat and cheese. The pickling adds moisture and a hint of sweetness, contrasting with the richness of the fat and protein below. Another hit: the bun. Most times, the sesame seeds on a bun are little more than decoration. Here, that shower of seeds is powerful enough to add their flavor to the overall package. Of all the burgers on the list, this one might be the most exactly cooked. The trick: a patty as tall as an NBA player, which allows the exterior to crisp up while the inside remains juicy and red. It would be perfect even without the slice of Havarti and the cluster of mushrooms (sautéed until soft, but still possessing some chew), but those elements add some dazzle, as does a drizzle of 15-year-old balsamic vinegar. At $18, this is the most expensive burger we rated. And it’s worth every penny. Some complicated burger creations fall apart under the weight of their pretensions. Not so this adventurous invention. 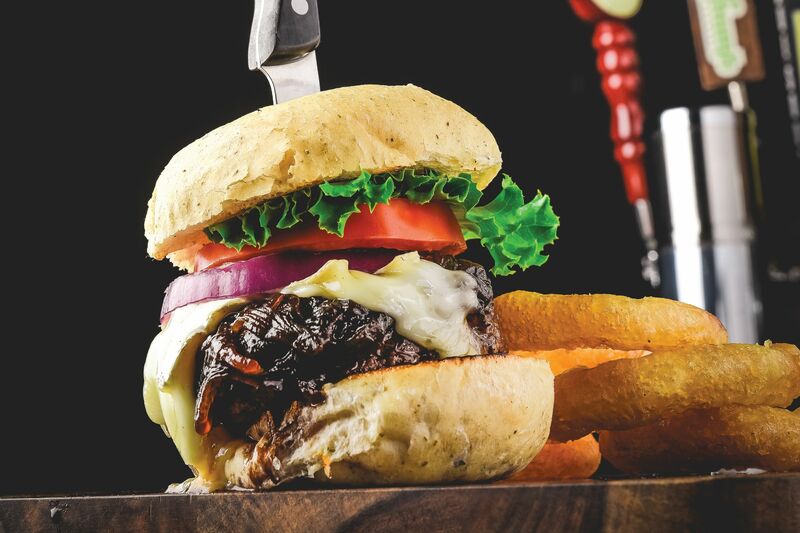 The patty is a mix of bison, chorizo and mushrooms, a blend that foregrounds the spice of the pork sausage and prevents the lean bison meat from drying out. This thing is so juicy it’s a double-napkin dish. The innovative blend keeps throwing out surprises as you eat your way through it. An experiment that pays off. The Hob Nob's classic cheeseburger. Nothing creative here—just simple drive-in nostalgia, served lightning-quick in a red plastic basket lined with greasy wax paper. The Hob Nob’s smallish patties are thin, topped with gooey American cheese, rounds of crisp white onion, slabs of lettuce and a slice of tomato that’s actually red, all of it enclosed in a crisped bun daubed with mayo. It doesn’t sound like anything special, but the combination is off the charts, delivering a rush that will have you recalling sock hops you never attended and jalopy rides you never went on. Five Guys used to hold the title for best quick-fired chain burger in Sarasota, but based on a recent head-to-head, BurgerFi gets the nod these days. It’s the same basic setup: default double patties, quickly griddled and packed with whatever toppings you like. What sets it apart are fun change-ups like the Conflicted Burger, which combines a meat patty with a vegetarian one. The quinoa-based plant patty is good enough to eat on its own, but its vegetal notes are a nice addition to the juice and crispiness of its beefy companion. No need to feel guilty for making your order a double. For a throwback with a locavore twist, order S’macks’ classic double-patty fast food burger tricked out with bison meat from Three Suns Ranch in Punta Gorda. The meat is topped with American cheese, lettuce, tomato, tangy “S’macks sauce” and your choice of more whimsical picks like jalapeños before being slapped between potato roll halves. It’s a subtly updated classic. Ground bison is leaner than traditional ground beef, so the patties are a little dry, but the flavor is outstanding, and the aridity is just an excuse to throw on some more of the house sauce. 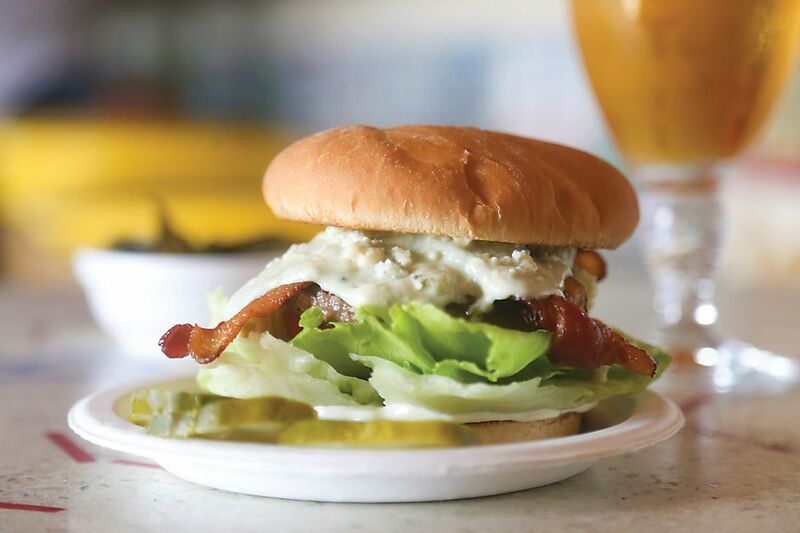 Duffy’s has been a Holmes Beach institution since 1958, and its burgers are still pulling in commuters from Sarasota and Tampa, as well as long-time islanders and kids back home from college. 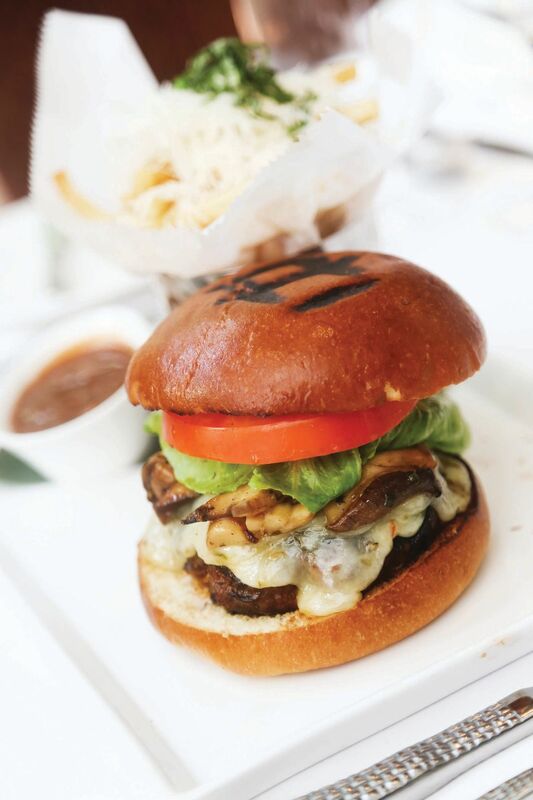 The restaurant has added some frou-frou options like blue cheese, caramelized onions and the like, but its calling card remains its standard cheeseburger. The meat is the star, with a peppered exterior that delivers a sting. Ideal fuel for a day on the sand. 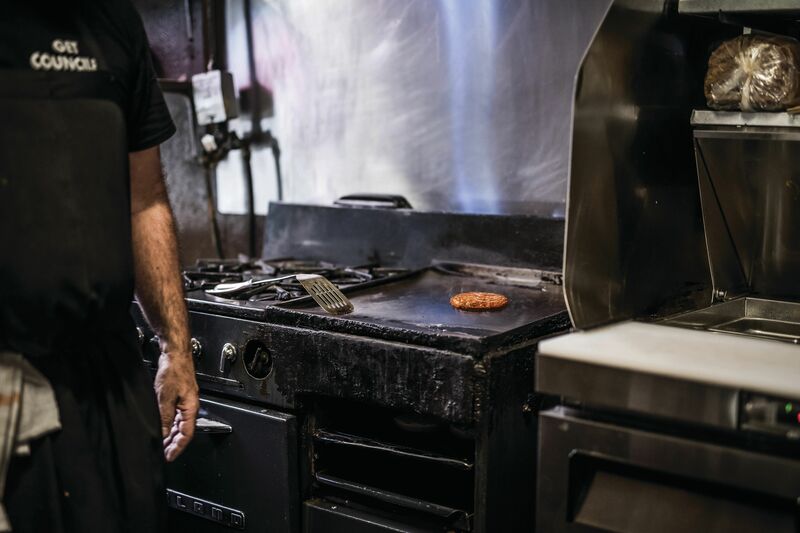 The grill gurus at BrewBurgers’ two Venice locations are expert searers, adept at keeping thin patties pink and juicy while scarring their exteriors to blackened beauty. A tender, floury bun hugs the patty and contains the lettuce and tomato and a fistful of shredded lettuce. 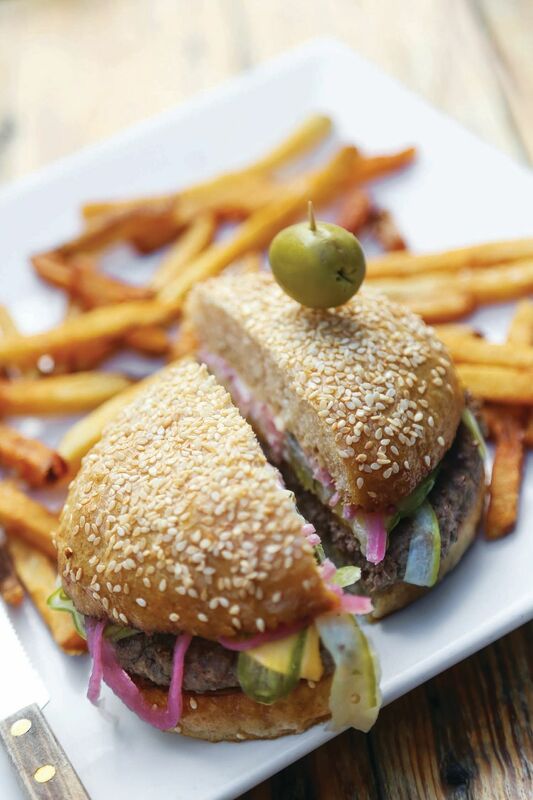 These burgers are a perfect accompaniment to the restaurant’s excellent selection of local beers. The menu gets adventurous and even a bit odd with toppings like mushrooms, tapenade and Buffalo sauce, but we prefer the straight-up, lactose-heavy classic. You never know what chef Alan Laskowski has in store until you belly up at his charming Venice eatery and ask what’s what. The Daily Bistro Burger may not change every day, but Laskowski mixes it up at least every few days. On a recent visit, the beef lay beneath a pile of sweet, charred pulled pork, a strip of bacon and some dripping cheese. If it sounds like a bit much, that’s because it was. But we finished every bite, and we’ll be back again soon to taste what Laskowski cooks up next. An institution. 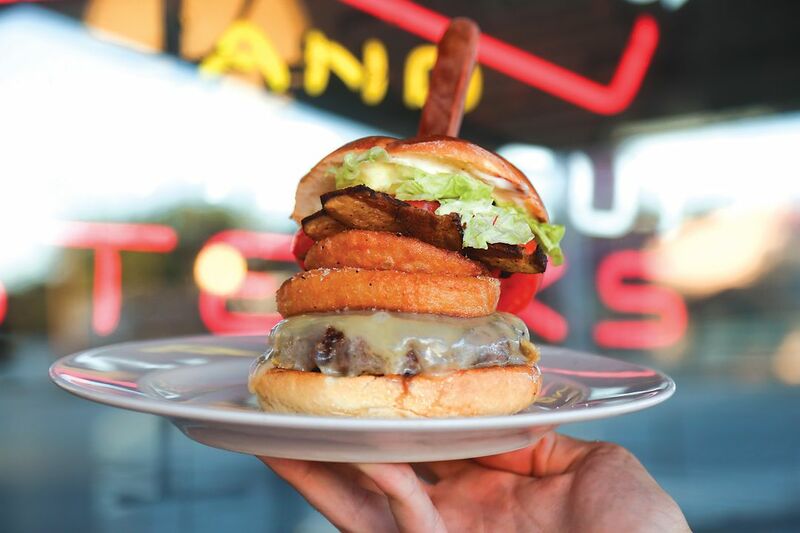 For years, Patrick’s hoarded best burger awards from local media outlets, delivering solid, straightforward combos built around patties that would come red in the middle if you so desired. 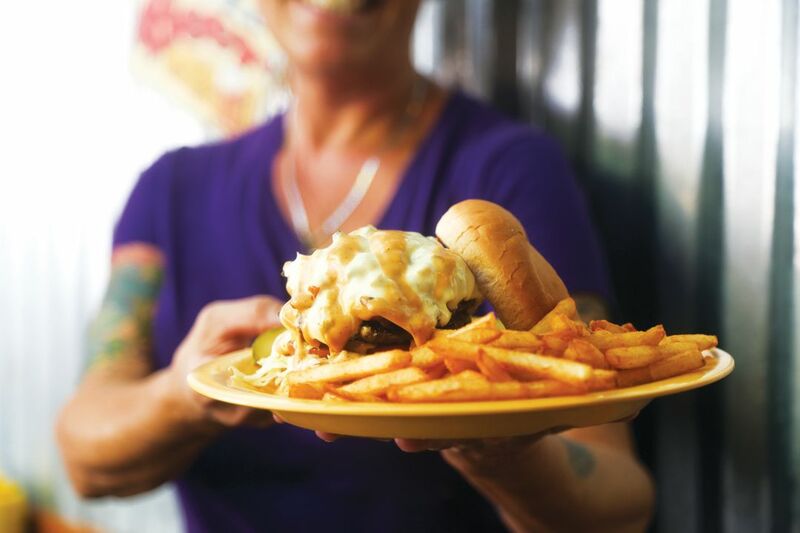 The restaurant moved down the street to its current digs after 25 years in its previous Five Points home but made sure to bring those burgers with it. There may be more creative burgers out there today, but a throwback Patrick’s patty still has the capacity to wow, particularly on Mondays, when the eatery slashes the price to an absurd $5. Restaurants could also earn up to two bonus points for cooking their burgers to the correct temperature. Running the numbers helped us steer clear of preconceptions and stay objective, and the final scores revealed some winners and losers that we might not have predicted when we began our quest. 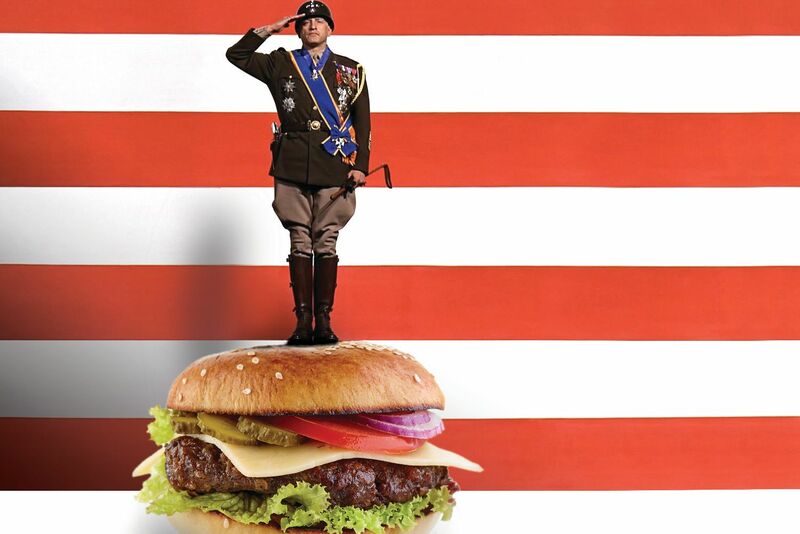 Taste is a subjective matter, though, and we realize you may have some other burgers you think belong in the top 15. We’d love to include you in the discussion. 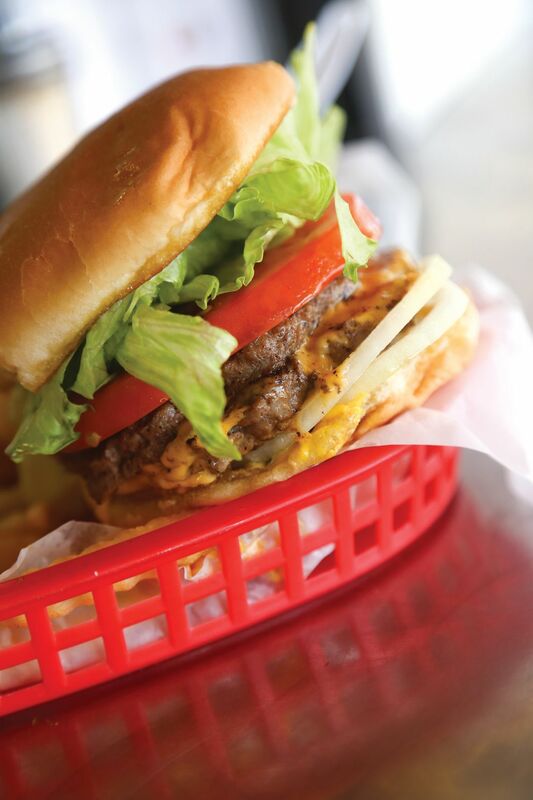 Leave a comment with your favorite burgers or post them on our Facebook page. 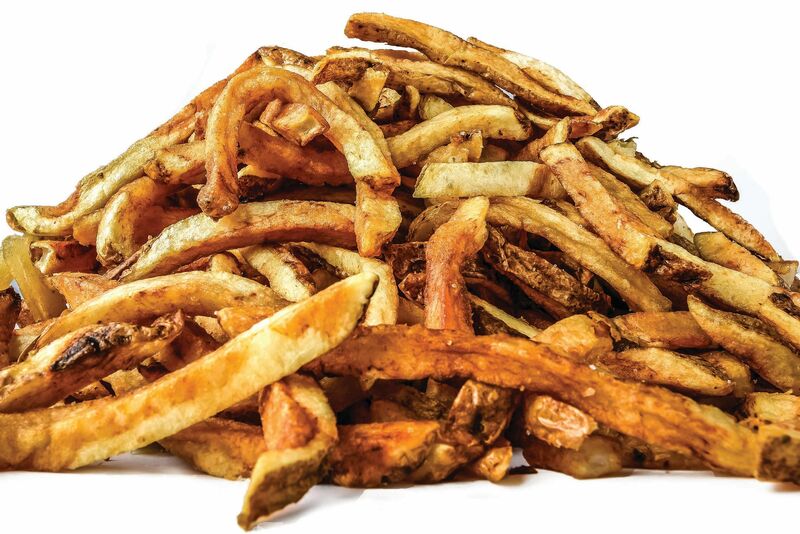 Almost any fry is a good fry. But these are all-time greats. 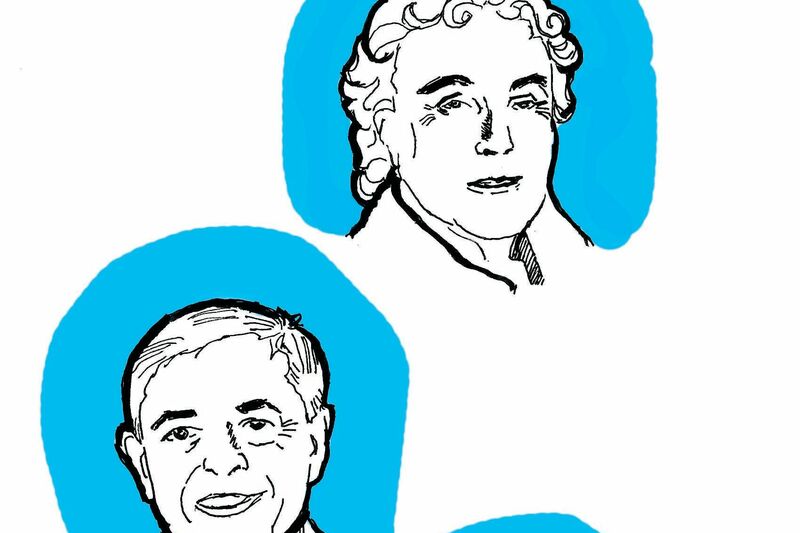 Owners and cooks come and go. The grill at Council’s Bradenton Recreation remains. 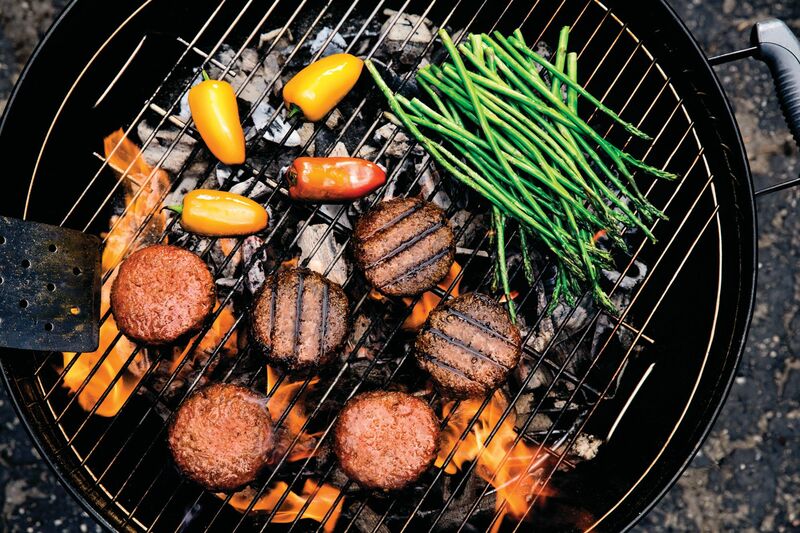 Beyond Meat claims its Beyond Burger looks and tastes like fresh ground beef. Does it? What Condiments Take a Good Burger Over the Top? Four local chefs share their favorites. New York Post theater critic and frequent Sarasota visitor Michael Riedel recalls his most memorable burger. 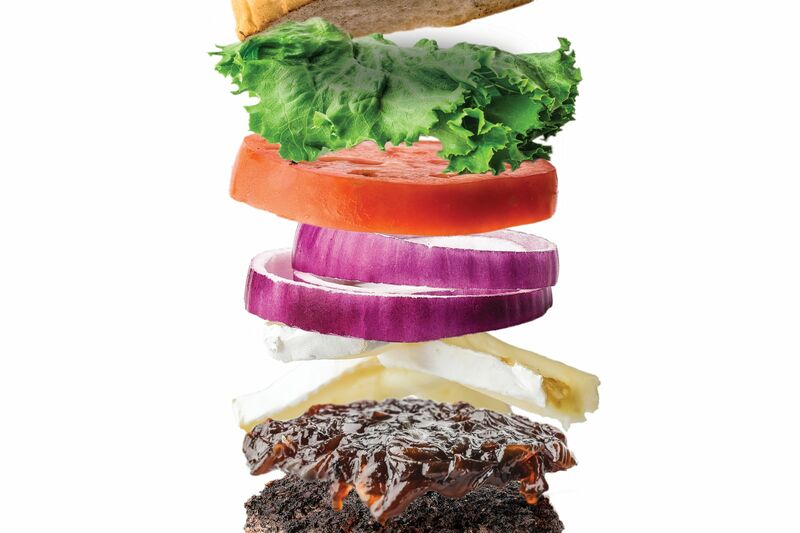 Here's how Shakespeare's puts together its famous burger.